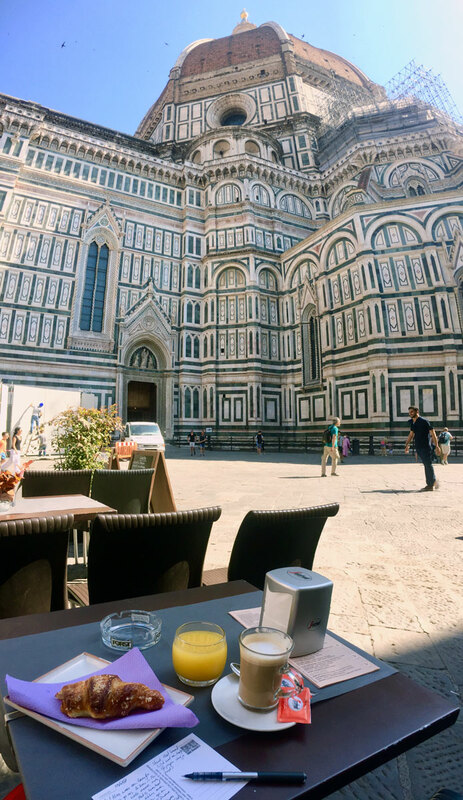 The last couple days I have been in Florence for the SEB conference. What a great location to have a conference! Where else can you have pizza for breakfast? 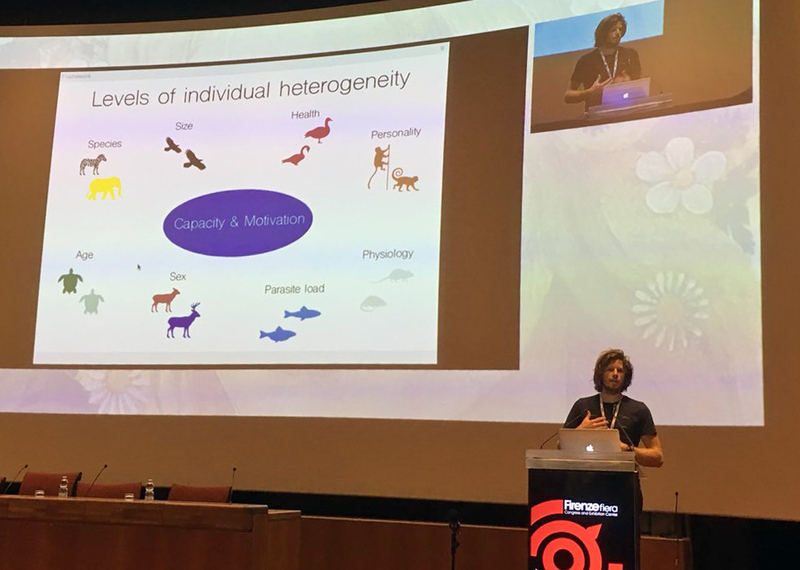 On Tuesday I gave a talk about a mechanistic framework I am developing with Shaun Killen to understand the role of individual heterogeneity in collective behaviour. The sessions this year are all really relevant to me and saw lots of great talks and posters and nice to bump into academic friends from around the world. Too many new project ideas! But I think some nice new collaborations will come from it as well. This morning I spent a couple hours sight-seeing this beautiful city and taking it its amazing atmosphere. I am currently sitting under some large trees at a small restaurant, listening to cicadas and enjoying a cold peer juice, before I take the bus back to the airport. Looking forward to next year’s conference in Seville!